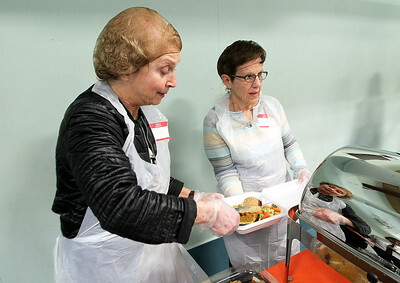 H. Rick Bamman - hbamman@shawmedia.com Area residents Nelly Chmiel (left) and Laurie Stewart enjoy conversation and a hot meal during the Salvation Army hosted the 3rd annual community Thanksgiving dinner Wednesday, Nov. 22 in Crystal Lake. H. Rick Bamman - hbamman@shawmedia.com Heinemann Middle School students Olivia Hornberg, Madelyn Ignarski and Ali Hornberg and Adrianna Crespo, all of Algonquin prepare items on Wednesday, Nov. 22, 2017 for gift bags to be distributed to nursing homes for Christmas by the Salvation Army. 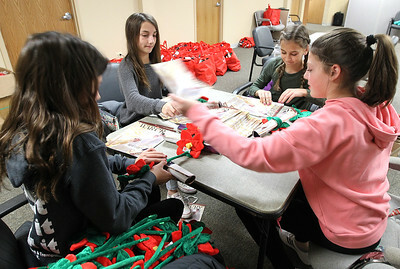 The girls volunteer as part of school's service to the community project. H. Rick Bamman - hbamman@shawmedia.com Volunteers Sheryl Smetana of McHenry (left) and Leslie Buck of Crystal Lake prepare a to go box during The Salvation Army3rd annual community Thanksgiving dinner Wednesday, Nov. 22 in Crystal Lake. 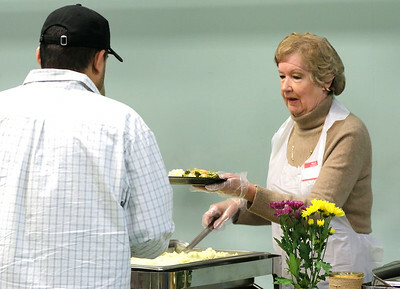 H. Rick Bamman - hbamman@shawmedia.com Volunteer Paula Ross of Lake Villa serves a hot meal to area residents as part of the 3rd annual community Thanksgiving dinner Wednesday, Nov. 22, 2017 at the Salvation Army in Crystal Lake. 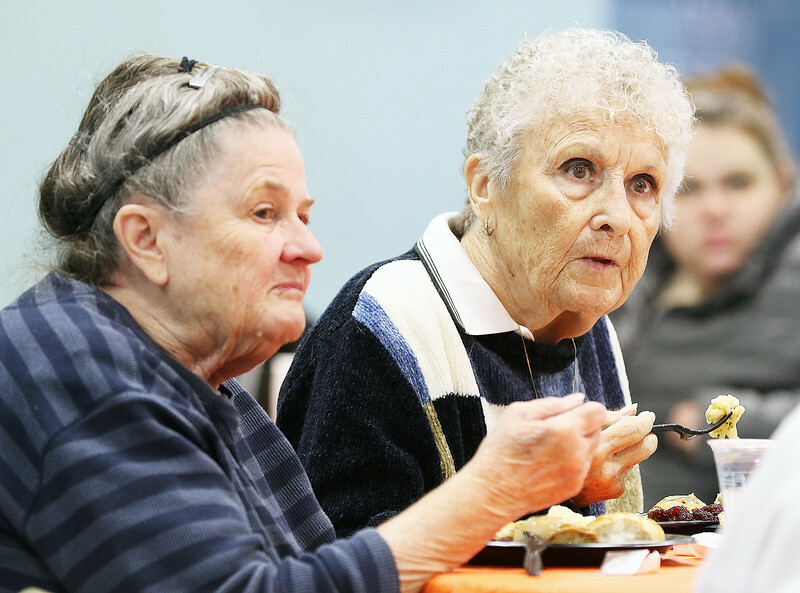 Area residents Nelly Chmiel (left) and Laurie Stewart enjoy conversation and a hot meal during the Salvation Army hosted the 3rd annual community Thanksgiving dinner Wednesday, Nov. 22 in Crystal Lake.